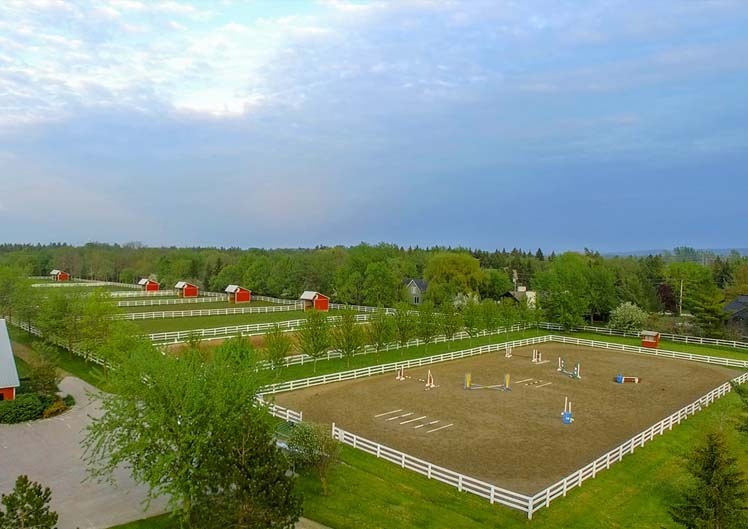 Our outdoor dressage and show jumping rings, cross-country schooling area, seasonal grass ring, and kilometers of hacking trails provide a variety of opportunities for riders and horses alike. 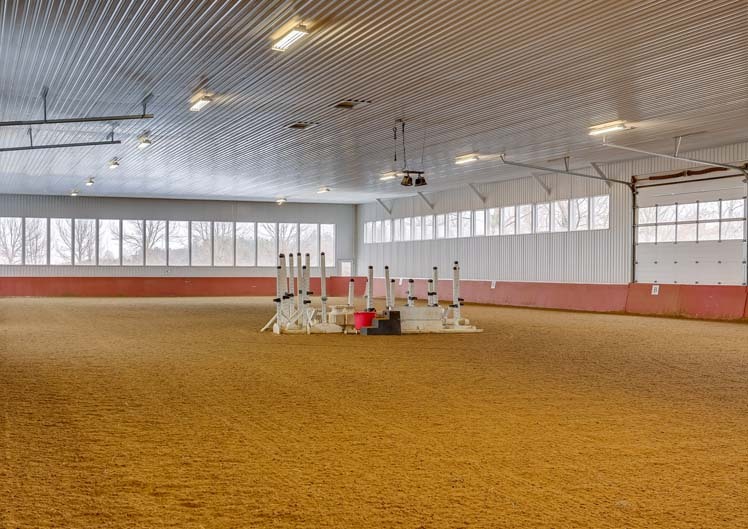 Our large, insulated indoor arena is ideal for training, especially in the cold winter months. 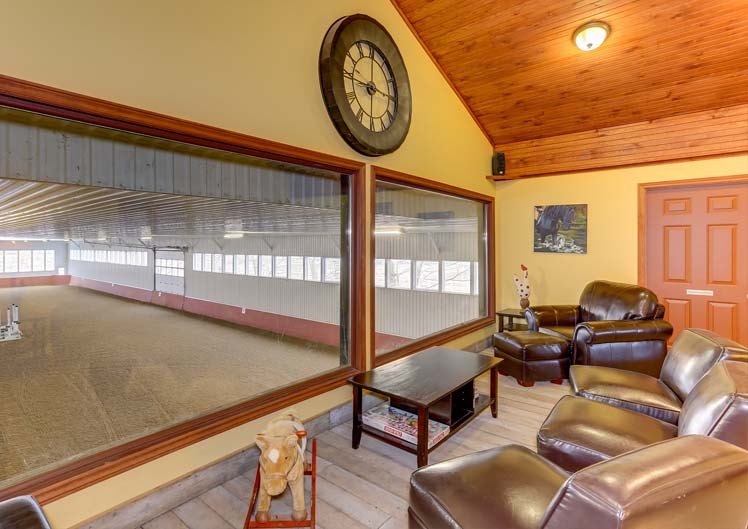 This multipurpose heated lounge is equipped with a kitchen, eating area, lockers and arena viewing windows. 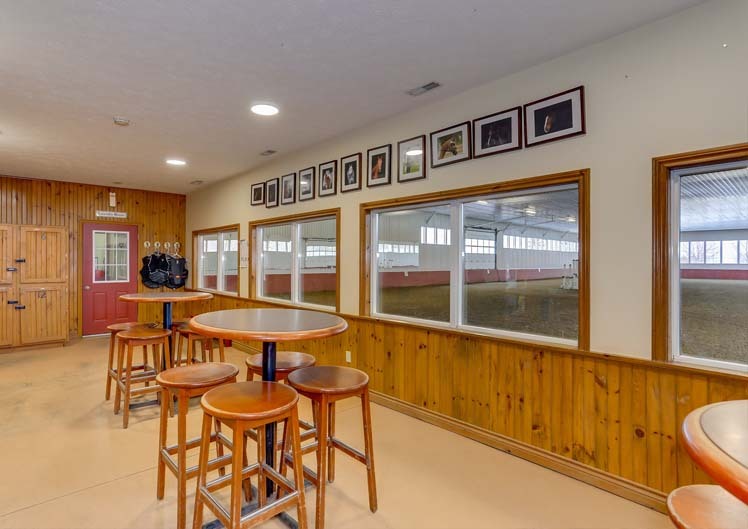 With its arena sound system, this lounge is a cozy place to observe and listen to lessons, clinics, or training sessions. 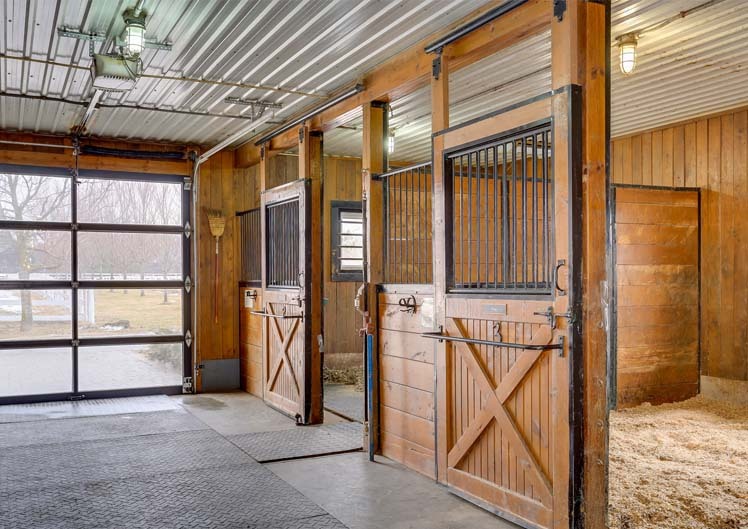 We have numerous grass paddocks, each with their own shelter, allowing us to accommodate small group turnout, and our spacious, bright stalls keep horses content while inside. See more of our 100 picturesque acres in the Blue Mountains, Ontario, Canada.